Chinese companies are continuously seeking opportunities to broaden trade and investment ties with the Mekong region. Business opportunities in varying sectors such as energy, mineral resources, agriculture, tourism, culture, and real estate development have become increasingly attractive for investors with a global vision. Operating in the Mekong region for over 21 years, our regional expertise and services are tailored to meet the increasing needs of our Chinese clients. All 12 DFDL offices are connected with our China Desk, allowing DFDL to advise Chinese clients an all aspects of their business ventures in a variety of sectors in multiple jurisdictions. 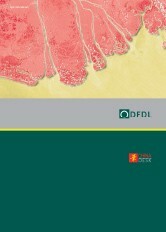 The brochure offers you a universal overview of DFDL – who we are and what we do around the world – our services designed specifically to meet the business needs of DFDL’s Chinese clients, our firm’s major China-related deals and transactions and further insight into how we can work with you.